The Six-nation talks over the Democratic People’s Republic of Korea’s (DPRK) nuclear programme has made little progress even as China’s patience with that country wears thin. Tensions among China, Japan and the Republic of Korea (ROK) continue over the bitter legacy of World War II and the disputes over the ownership of Islands in the East China and South China seas exacerbate them while the US hovers in the background. Five nuclear weapon free zones (NWFZ), one single-state nuclear weapon free zone (Mongolia) and one unpopulated nuclear weapon free continent (Antarctica) – apart from the denuclearization of the extremities of the sea-bed and ocean floor and outer space – have been legally established and exist in the world today. While they do not conform to a replicable model, the UN Disarmament Commission has established guidelines, which future proposals for NWFZ may wish to follow. The proposal for a North East Asian NWFZ (NEANWFZ) has intrinsic merits but the first steps towards it in this tension-fraught region are still a long way off. The proposal has acquired a fresh relevance both as a solution to the nuclear weapon programme of the DPRK and as a safeguard against a possible nuclear weapon option being exercised by Japan and the ROK. It could also assuage fears of a Chinese nuclear threat in East Asia with China accepting the protocols to a future NWFZ. The NEANWFZ is being seriously discussed among academics and legislators – perhaps a prelude to a negotiation at the policy making level. Conceptually NWFZs represent ‘affirmative action’ on the part of non-nuclear weapon states (NNWS) within the Treaty for the Non-proliferation of Nuclear Weapons (NPT) in accordance with its Article VII. There is strong opposition to nuclear weapons among non-nuclear weapon states (NNWS), actually predating the NPT, and the creation of NWFZs as building blocks for a nuclear weapon free world. 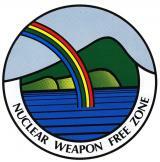 Indeed NWFZs in their preambles refer to global nuclear disarmament in unambiguous terms. As quarantine zones protecting countries and regions from the contagion of nuclear weapons, NWFZs are not all consistent in the set of prohibitions they have adopted. The Treaty of Rarotonga for the South Pacific NWFZ and the Treaty of Semipalatinsk for the Central Asian Nuclear Weapon Free Zone (CANWFZ), for example, include countries that have defence agreements with NWS and therefore enjoy extended nuclear deterrence. “This means that transit of nuclear weapons may be allowed or refused, but the decisions “should not be prejudicial” to the purposes and objectives of the treaty. Since neither the frequency nor the duration of transit is limited by the treaty, it is not clear to what extent transit differs from stationing. With the proviso mentioned above, total absence of nuclear weapons in the CANWFZ, as envisaged in Article VII of the NPT (dealing with the right of states to conclude regional denuclearization treaties), cannot be guaranteed. With regard to another aspect of a NWFZ treaty, more recently the agreed Australian decision to export uranium to India despite the latter not being within the NPT is widely seen as a violation of the Treaty of Rarotonga. Thus accepted NWFZ guidelines have been shown to be flexible. In the case of all NWFZs however the provisions of the NPT apply since they are all states parties of this treaty. Thus the application of extended deterrence or sheltering under the nuclear umbrella offered by any one of the NWS must be seen as a violation of Article 1 – one of the core articles of the NPT. Firstly the transfer of nuclear weapons or control of such weapons “directly or indirectly” is prohibited. This has been violated by the geographical location of US nuclear weapons in five NATO countries in Europe but has been justified by the US because the weapons are under US control – a justification frequently rejected by NNWS at NPT Review Conferences and other forums. No NWFZ would make the actual stationing of nuclear weapons whether under the control of a NWS or not legal. Secondly, the prohibition “not in any way to assist, encourage, or induce” any NNWS to acquire or control nuclear weapons stands obviously violated when the protection of a nuclear weapon defence is agreed upon by a bilateral treaty with a NWS as in the case of Australia, Japan or ROK. The International Court of Justice in its Advisory Opinion of July 8,1996 ruled unambiguously on nuclear deterrence and extended nuclear deterrence both of which contain a threat of the use of nuclear weapons. The case brought before the ICJ by the Marshall Islands against nine nuclear weapon armed states may very well clarify and expand on the 1996 ICJ Advisory Opinion when it is taken up in 2015. Thus a NWFZ in North-east Asia has many reasons to commend itself as a solution to the complex issues in the region that threaten its security. However, compromising on fundamental NWFZ principles will only exacerbate matters. Exceptions and ambiguities have been introduced in the negotiation of past NWFZs but they cannot, and should not, be cited as precedents for future NWFZs. Extended deterrence and a NWFZ are mutually exclusive and so, as the DPRK nuclear programme is dismantled, the US nuclear umbrella, under which ROK and Japan have long been sheltered, must be folded in the interests of regional and global security. The time to bury nuclear deterrence and extended nuclear deterrence is now. A NWFZ for North-east Asia guaranteed by the five nuclear weapon states in the NPT is the new security architecture needed for the region.